Message for Son : If someone asks you, what is the most important thing in your life? You will certainly reply that it is your son. Every parent loves their son more than anything. As a parent, you also want your son’s success. You have tried a lot to make his future bright. Now he is working hard and your support is the main thing he needs. Your special care and blessing can lead him to highest pick of success. We are here to give you some awesome ideas and messages for your son. These messages are combined of advice, admiration, inspiration and encouragement. Let him know that you are proud of him. You love him and you think about him. Surely your son will be very glad and get a new way of thinking about you. Dear son, we can’t describe in words, what actually you mean to us. We can say that you are the world of us. You have completed our family and our life. We love you so much. Our loving child, you are the reason that our home is full of joy. Thank you for being the best son ever. Stay blessed honey. Baby, we have tried our best to make your life good. Remember some word dear. You may face many bad days in your life. But never give up. Our prayer is always with you. Days are passing fast. We are getting older and you are growing up. Son, do you know that you are a very good person? Always be like this. We are proud to have a son like you. Sweetheart, you have taught us so many good things in life. As a parent we are so glad to know that we have raised a good man. And he will shine like a pearl all the time. Son, when you were little, you were very naughty. But we kept patient and knew that one day you will be very responsible and wonderful smart guy. Today we are proved right. Love you. So you are going to start a new life very soon. We have confidence that you will never lose in your life. You may be interrupted many times but at the end you will win. God bless you son. Dear son, when we will be not around with you, remember that our blessing is always with you. Nobody gets success over night. So work hard with patience and you will get result. Stay happy. Son, our relationship is more than a father son relationship. I knew that father and son can’t be friend. But you showed me that father and son can be best friend. My dear, you are the apple of my eyes. One day you will be father and then you will know how much a father loves his child. I love you son. My prayer is always with you. When I see you, I see myself. You are the junior version of mine. I feel so peace when you are with me. I love you son. Dear son, you will meet many people in life. Don’t do anything that people call you with bad name. Rather do something for which people will remember you happily. I love your passion for working hard. I love your thoughts and imagination. Keep it up my son. Surely one day you will be successful. I am very happy to have a perfect son. You are very matured and sensible boy. You are a genius my boy. I wish you all the very best for your life. Now I am tension free. Because I have a strong son who can take care himself at any situation. My son, your success is the most important thing for me. And you will gain it soon. My sweet angel, I know you don’t like it when I don’t agree with your opinion or I scold you. But son, all the things I do for your good. I love you so much son. My son, you are the hero of mine. I was waiting for this day to see you as a graduate. I am a proud mother of an amazing son. Always smile like this. Having a son like you is the dream of every mother. And I am the lucky one whose dream has been fulfilled. You are a nice person my son. I love you. Son, I have tried to give you best education about life. But I have an advice. Respect all the people who will come in your life. Especially never treat ill to any woman. Not everyone will admire your success. Not everyone will love you. You must know the value of good people in your life. My sweetheart, always listen to your heart when choosing friend. A mother’s love is unconditional my son. No one can love you as I love you. I scolded you, annoyed you. But remember that I love you the most. My love, you are the God’s most special gift for me. Now you have grown up. You have your own life. I wish you good luck. I miss you my son. Stay well. My boy, when there will be no one beside you, I will be with you. If you find any difficulty in your life, come to me. A mother’s love can eradicate any bad things. Before I die, I want to see your dreams come true. A mother can’t bear her son’s pain. I always pray for your success my son. I love you. 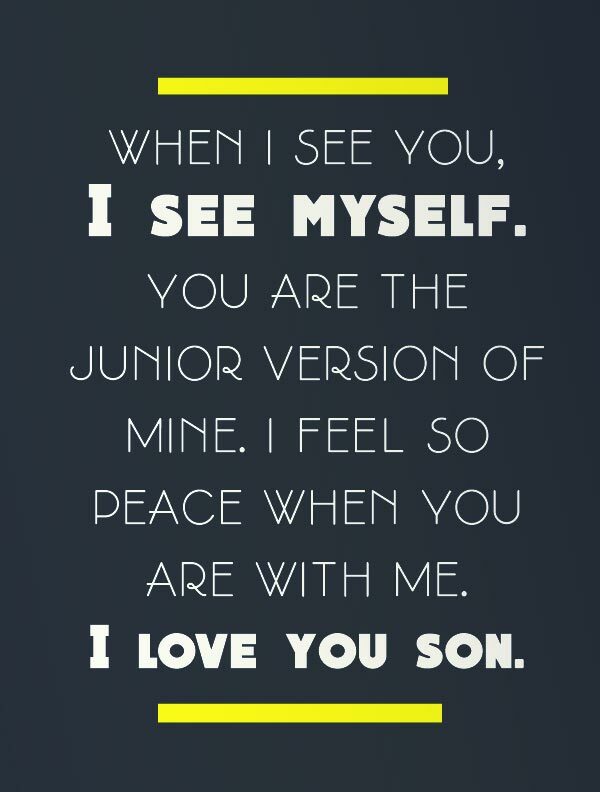 These special messages for your son will build a strong relationship between you and your son. Your relation will be sweeter than ever.